We’re on a mission to help nonprofits raise up the most generous generation in human history by optimizing their fundraising practices. 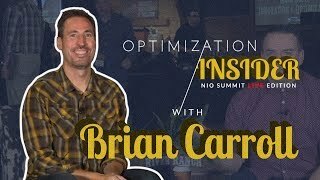 That’s why we’ve made all of these optimization resources free for you. We hope each one can help you learn, optimize, and increase your fundraising results. We conduct forensic research that studies the nonprofit industry as a whole. Through these studies, you can learn what top nonprofits get right — and what they are missing. 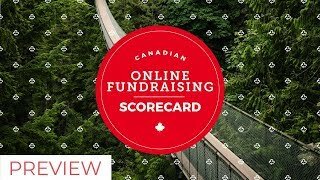 The Canadian Online Fundraising Scorecard is a groundbreaking study that looks at charitable giving in Canada by capturing and analyzing the online fundraising habits and donor experiences of 152 Canadian charities. 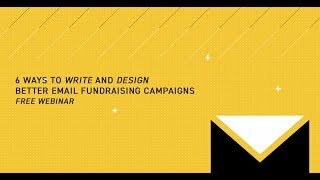 These results shine a light on the gap between known best practices in online fundraising and what is actually occurring. 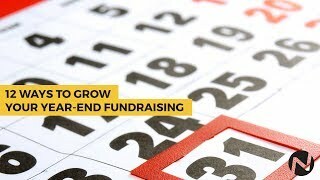 In this comprehensive recurring giving benchmark study, you’ll discover key insights, practical takeaways, and simple test ideas that can use to help grow your recurring giving program – all based on what we learned from making recurring gifts to 115 organizations and tracking their follow-up communication for 90 days. 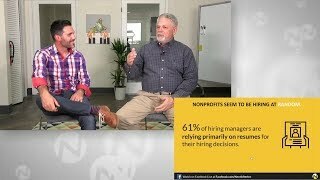 People are a nonprofit’s most valuable resource – which means that hiring, development, and retention should be of utmost importance if your organization is seeking long-term growth. But an assessment of 500 nonprofit fundraisers indicates that many nonprofits may have a people problem. In this study, you’ll see how human data can be used to get the right people into the right roles, and you’ll learn key strategies to optimize your team in order to achieve significant growth. 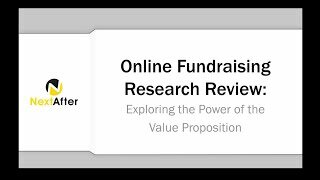 And after conducting over 800 online fundraising experiments, we’ve codified a new foundation that drives results and measurable growth for innovative nonprofits. 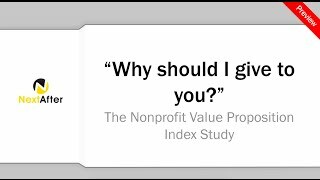 We’ve outlined this methodology in the free eBook, The Nonprofit Optimization Guide. 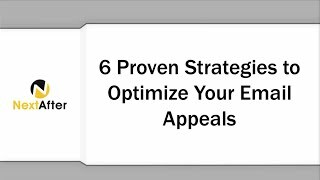 In this free eBook, we’ve outlined 7 proven strategies that will help you capture the attention of your donor, humanize your email appeals, lift your email fundraising revenue. 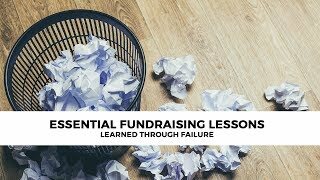 After making $1000 to $5000 donations to 37 organizations, and monitoring their communication for 90 days, we made a startling discovery: many nonprofit organizations are forgetting about their mid-level donors and failing to communicate effectively. 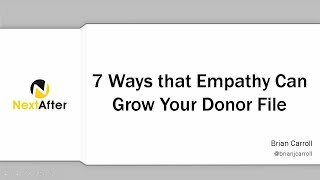 In this research study, you’ll find the results of our mid-level donor research as well as 5 case studies demonstrating how a more empathetic and personal communication approach can lift your fundraising performance with this vital donor segment. Time and time again, email revenue proves to be the most significant source of online revenue for nonprofit organizations. 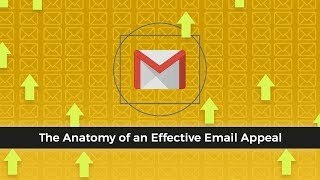 And the primary factor influencing your email revenue is the size of your email file. 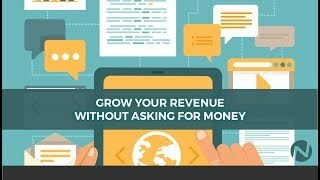 In this free eBook, you’ll find six strategies that you can test in your email acquisition efforts to grow your email file and raise more money online. Why Should I Give to You? 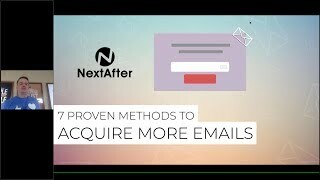 At NextAfter, we’ve been perfecting a model that will help you turn Facebook into your best source of new email addresses, donors, and dollars. 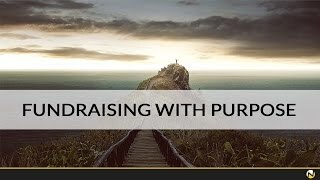 This eBook clearly unpacks the model and gives you everything you need to start your first donor campaign today. You can get your copy for free today. 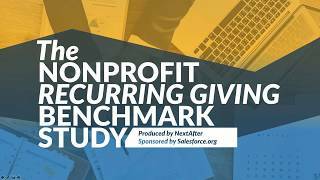 We donated to 151 top nonprofits, documenting the entire giving process and follow-up communications. In this study, you’ll find out what they do right — and what they completely miss. 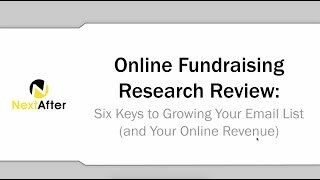 If you want actionable insights to grow your online fundraising, get this now. 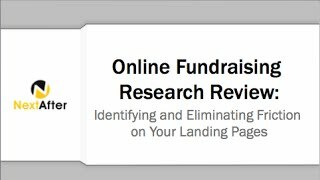 We’ve developed these free tools to help you assess and optimize your online fundraising results. This email subject line heuristic will give you a formula for crafting subject lines that can improve your open rates and increase the likelihood of getting a donation. This free guide outlines the formula, as well as key words and phrases you can use to start crafting more effective subject lines. 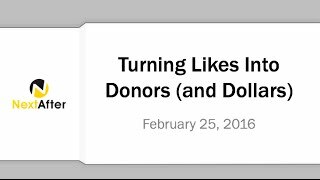 The traffic visiting your main donation page has widely varying motivations. 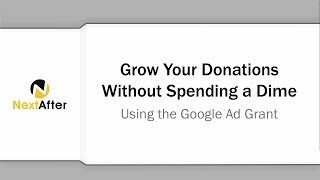 As a result, we have to craft a page that addresses the value of a donating to our organization on broad level, while making it easy for someone to give a gift. 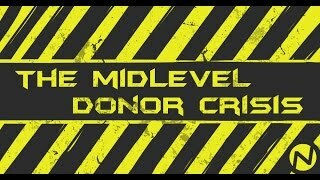 This free guide will show everything we’ve learned about crafting an effective general donation page for your website. 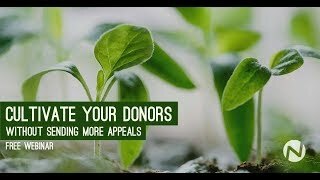 The motivation of a donor responding to an email appeal or high-urgency campaign is very different than a donor on your general donation page. 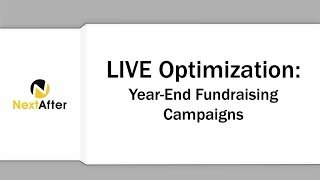 This free campaign donation page template outlines some of the key differentiators that will help you lift donation conversion rates on your campaign donation pages. 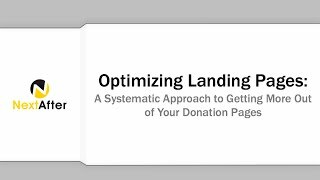 This free guide contains the most important lessons we’ve learned so far about how to craft a high-converting instant donation page. Use this guide to help you create a donation page that will convert new emails into donors right away. 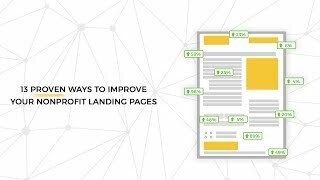 After analyzing 80+ nonprofit landing page experiments, we’ve identified 13 proven ideas that you can test on your landing pages to increase conversion rates and grow your email file. We’ve organized these 13 ideas into a single template that you can use as guide next time you set create a landing page. 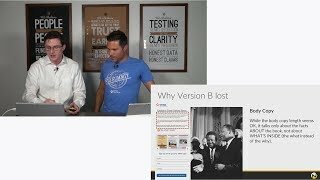 The most important part of testing and optimization is learning why your treatment impacted your result. 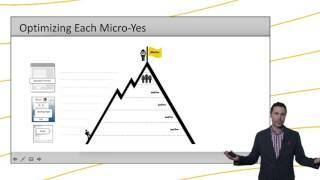 In order to be confident in your learning, you have to have reliable data. 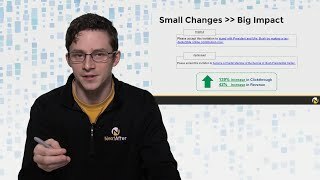 UTM Maker is a free tool that will ensure your campaigns are properly tracked in Google Analytics – giving you clean, accurate, and reliable data to help you determine what works to improve your marketing and fundraising. If you have ever been curious about the best way to judge the effectiveness of your Facebook advertising campaign, this spreadsheet will do that work for you. 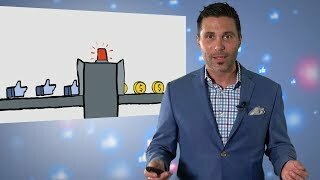 By plugging in a few easy-to-find metrics, it will determine your best performing audiences to allow you to get the most bang for your advertising dollars. 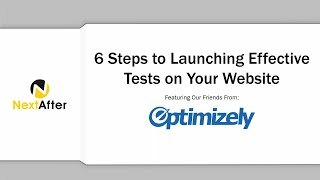 How do you know if your A/B test results are valid? This free tool uses best-in-class standards to determine whether your results are real and repeatable or need more time and traffic. 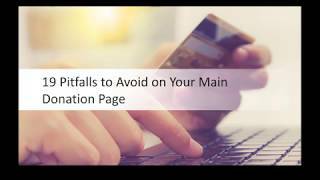 Did you know that a single text field or the text on your submit button can be significantly impacting your online revenue? 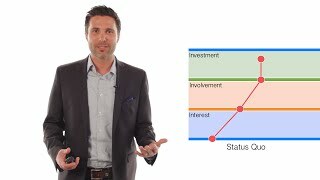 Take this free Friction self-assessment to find out you can reduce friction in your giving process. 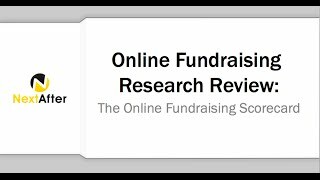 Curious to see how your organization’s online fundraising stacks up against other nonprofits? With just three pieces of data, this report will generate a detailed analysis of your organization’s strengths and weaknesses with opportunities to instantly increase your online revenue. We’ve archived all of our online broadcasts for you to view anytime. Select a video below to watch it instantly. 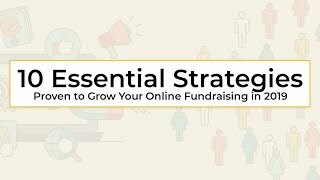 The greatest success factor for growing your online fundraising program is the size of your email file. 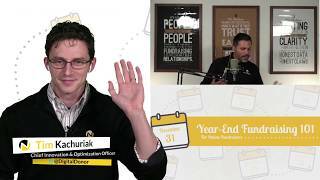 On this live broadcast, we’ll show you real experiments that discover what works in email acquisition so you can grow your file — and your fundraising results. 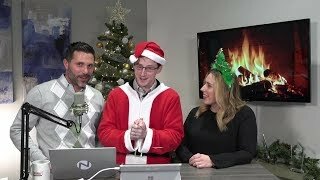 We hosted a live broadcast to highlight two key areas to optimize your landing pages. Then, we tried something new — Live Optimization. 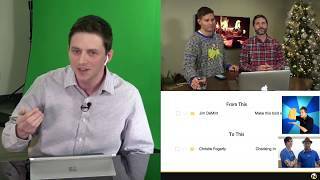 A few brave partners submitted their landing pages to be optimized by our team in front of a live audience. 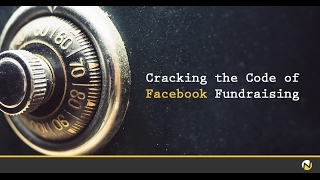 On this broadcast, we discuss how friction might be turning your online donors away. 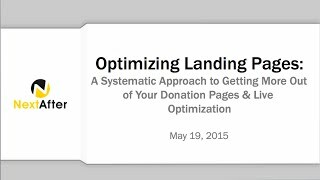 Then, we optimize some landing pages in real time to illustrate how you can reduce friction and increase conversion. 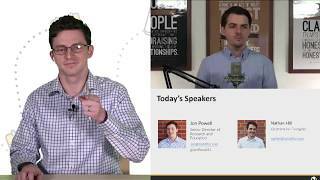 In this webinar, Brad Davies and Tim Kachuriak reveal what we learned when we reviewed the online fundraising practices of more than 150 national nonprofits and charities. We’ll unpack what they do right — and what you can learn from their mistakes.